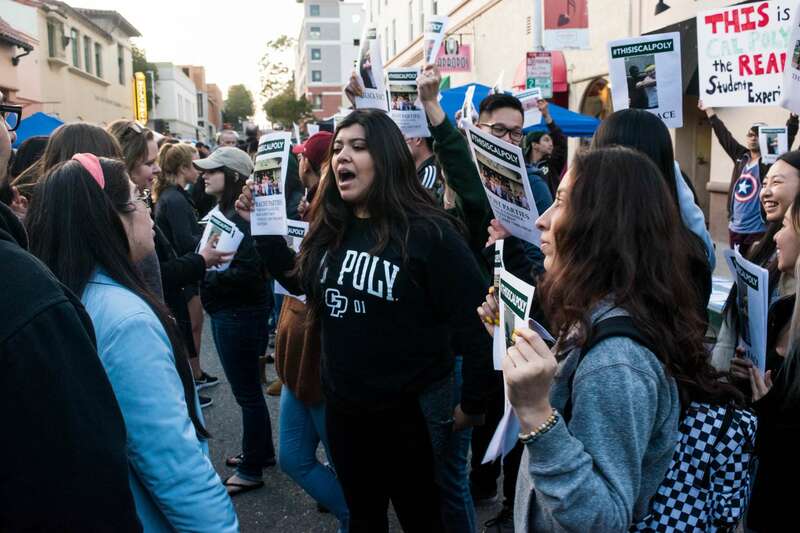 Various organizations on campus put up a booth in solidarity against controversial issues at Cal Poly. Mustang News anchors Amanda Fridley and David Kline update you on Mustang News’ biggest stories of this quarter. Mustang News anchors Cara Benson and Alison Stauf update you on Mustang News’ biggest stories this week. ﻿Mustang News anchors Ayrton Ostly and David Kline update you on Mustang News’ biggest stories this week. Mustang News anchors Laura Hoover and Dylan Ring update you on Mustang News’ biggest stories this week. Mustang News anchors Allison Royal and Leah Horner update you on Mustang News’ biggest stories this week. Mustang News anchors Geovanni Ximenez-Garcia and David Kline update you on Mustang News’ biggest stories this week. Mustang News anchors Allison Royal and Chloe Carlson update you on Mustang News’ biggest stories this week. Mustang News anchors Daniel Park and Monica Roos update you on Mustang News’ biggest stories this week.